2 016 is off to a fantastic start!! Dr. Debbie opens 1st IREM meeting of the year as President of the Georgia Chapter and learns from social media guru Karen Hatcher about increasing digital IQ! 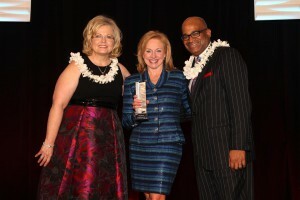 At this year’s IREM REME Awards, Dr. Debbie Phillips of the Quadrillion was awarded the CPM of the Year award for her dedication to “developing top-tier leadership development programs for emerging leaders.” A nationally acclaimed author and speaker with more than 25 years of experience in real estate management, Debbie had served as vice president for two of the nation’s most prominent real estate companies before receiving her Ph.D. from Georgia Tech and founding the Quadrillion. She has also taught at the University of Georgia, Georgia Tech and the New School of Architecture and Design as well as technical schools across the state and even recently directed a comprehensive textbook on multifamily housing. With so many credits to her name, Debbie seems like a natural fit for Bisnow partner IREM, an organization dedicated to providing excellence in property management. 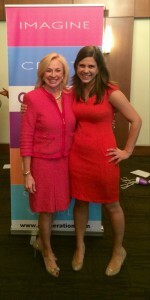 It’s also why we were excited to talk to Debbie about her drive, her views of education and the CPM Program. 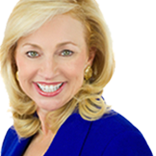 ATLANTA, October 27, 2015 – Deborah Phillips, Ph.D., CPM®, President of the Atlanta, Georgia-based international consulting firm The Quadrillion, was recently honored with the International Real Estate Management of Excellence (REME) CERTIFIED PROPERTY MANAGER® (CPM®) of the Year Award by the Institute of Real Estate Management (IREM®). The prestigious award, given each year in recognition of outstanding contributions to the real estate management profession and the local and international community, was presented to Dr. Phillips by IREM National President Lori Burger, CPM ®, on October 24 in Salt Lake City, Utah. Dr. Phillips is a nationally acclaimed author and speaker with more than 25 years of experience in real estate management. Prior to founding The Quadrillion, she served as Vice President for two of the nation’s most prominent real estate companies, amassing extensive knowledge in market analysis, strategic planning, development and operations. Upon completing her Ph.D. from Georgia Tech, where her research focused on Resident Satisfaction and Employee Engagement, Dr. Phillips developed an Employee Engagement Model for the multi-housing industry as well as world-class leadership development programs and talent management strategies. 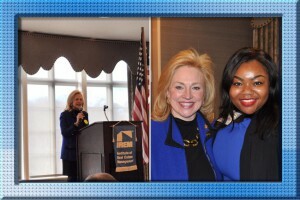 In 2013 she was honored as Outstanding Educator by the National Apartment Association Education Institute, and was named one of 75 women changing real estate by IREM, which also named her the 2012 Georgia CERTIFIED PROPERTY MANAGER® of the Year. In addition to her professional achievements, Dr. Phillips is widely recognized for the profound impact she has had on the future real estate professionals. Known as a “woman who continues to change the world of real estate by touching the lives of our future and current leaders,” Dr. Phillips has taught more than 10,000 students in her courses at the University of Georgia, Georgia Tech and technical schools across the state. Earlier this year, she directed the production of the first comprehensive textbook, Multifamily Housing and is currently completing the all-inclusive interactive desk reference specifically for the multifamily housing industry. Currently, Dr. Phillips serves as President of the Georgia Apartment Industry Education Foundation (GAIEF) where she is the Lead Instructor for GAIEF’s College Programs in Residential Property Management at the University of Georgia, Georgia Tech, and other affiliated programs. She also teaches distance learning courses and assists in the curriculum development for other real estate programs. Next month, Dr. Phillips will be installed as the President of IREM® Georgia Chapter #67 at the Ansley Golf Club. Additional details about the event can be found on the IREM GA website (iremga.org) or by calling Executive Director Deborah Westphal at 770-590-9995. Since 1933, IREM® has set the standard for best practices in real estate management. Its current international membership includes more than 19,000 individuals and 550 corporate members dedicated to ethical business practices, maximizing the value of investment real estate and promoting superior management through education and information sharing. An affiliate of the National Association of REALTORS®, IREM® is the home for all industry professionals connected to real estate management and the only organization serving both the multifamily and commercial sectors. IREM® believes good management matters and well-managed properties pay dividends in terms of value and the quality of life for residents, tenants and customers. The organization offers a variety of membership types for professionals of every experience level, from on-site managers to high-level executives. IREM credentials, earned by meeting high standards of education, experience and ethical business practices, include CERTIFIED PROPERTY MANAGER® (CPM®), ACCREDITED RESIDENTIAL MANAGER (ARM®), ACCREDITED COMMERCIAL MANAGER (ACoM®) and ACCREDITED MANAGEMENT ORGANIZATION (AMO®). To learn more about IREM, call 800-837-0706, ext. 4650 (outside the United States, call 312-329-6000) or visit www.irem.org. 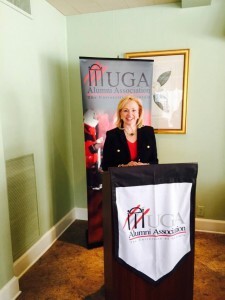 Dr. Debbie speaks to UGA Alumni group at luncheon on March 26th. 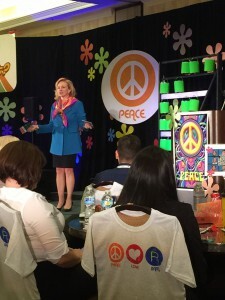 Dr. Debbie speaks to 150 apartment professionals! Dr. Debbie gets quoted in the HuffingtonPost recommending to people to stay in their genius zone! Read more about it here. Dr. Debbie honored with the Emily Quinn Pou Professional Achievement Award. Read more about it here. 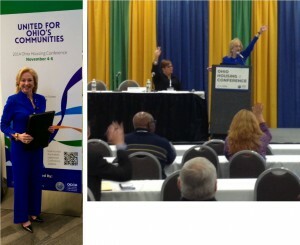 Enjoyed presenting “Anchoring Talent Management to Business Performance” at the 2014 Ohio Housing Conference, November 4-6th. Join me in congratulating one of my Georgia Tech superstars! 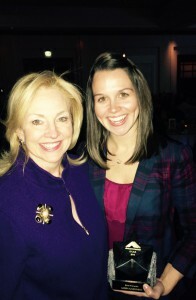 Karen Mundschenk of Matrix Residential was honored with the 2014 Atlanta Apartment Association S.T.A.R. Award! Fabulous! Enjoyed being a panelist for the first GenHERation Summer Leadership Services in Atlanta on August 5th. GenHERation is a female empowerment network for millennial girls.They provide girls the opportunity to work with national corporations and nonprofit organizations to develop their own advocacy campaigns to address community issues.